New research has revealed that over 100 major global financial institutions have introduced policies restricting coal funding. 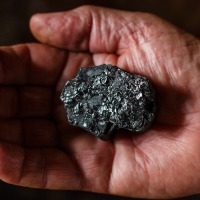 The research from the Institute for Energy Economics and Financial Analysis has found that global capital is leaving the coal sector at fast pace. Since 2013, coal exit announcements have occurred at a rate of over one per month form banks and insurers holding more than US$10 billion worth of assets under management. Since the start of 2018, there have been 34 new or improved announcements from global institutions restricting coal, making an average of one new announcement every two weeks. The first restriction came from The World Bank in 2013 with the 100th coming from the European Bank of Reconstruction and Development. Since the beginning of 2019, moves have come from banks in the UK, Canada, Finland, South Africa and Austria. Energy Economics and Financial Analysis’ director of energy finance studies Tim Buckley said that when significant investors act, momentum increases. “For environmental, reputational and financial reasons, thermal coal is a toxic asset for global investors increasingly announcing new and improved policies responding to climate change. “The strong leadership of a few globally significant institutions five years ago is increasingly turning into capital flight by the many, with one new announcement every two weeks in recent years,” he said. Mr Buckley said investors were looking ahead to more progressive industries and were removing themselves from harmful industries. Among the 100 institutions restricting coal funding are 40 per cent of the top 40 global banks. Twenty investors with 20 per cent of the industry’s global assets are excluding coal from their portfolios. Mr Buckley said this was a worldwide trend and companies were improving the strength of their policies all the time. “While initial measures vary in effectiveness, we found that the trend is for financial institutions to ratchet up the strength of policies once they are in place. “With environmental and reputational concerns certainly driving factors for capital fleeing coal, investors are also increasingly aware that coal industry forecasts are increasingly dour,” he said.